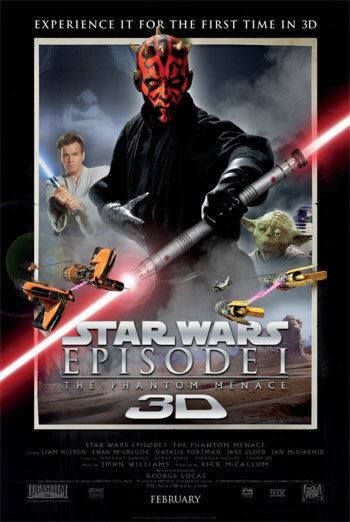 STAR WARS EPISODE I: THE PHANTOM MENACE is an action-adventure science fiction prequel to the 1977-1983 STAR WARS trilogy. The film contains several battle scenes, lightsaber duels and chase/escape sequences. The violence mainly takes place during skirmishes between human and non-human characters such as robots. However one prominent lightsaber fight takes place between two main characters and a villain. During the sequence a key character is killed, after which a small dark patch is seen on a cloak. Later in the film, another character is cut in two when he is hit by a lightsaber strike.This occurs offscreen, although a very faint red mist is briefly visible indicating the strike has occurred. After this, the two parts of the body fall down a chasm, although without any blood or injury detail. The film includes a racing scene in which a young boy is in danger; however, he is presented as resourceful and skilled. Other chases and battles are presented but with a clear fantastical element. The film also includes some very mild rude humour, including an animal breaking wind.